A rejuvenating experience that cares for your skin. People decide to have facials for various reasons. For some, it's to eliminate blackheads; others use it as a means of preserving a youthful complexion. Some find it helpful in combating anti-ageing, whilst others simply find it relaxing and rejuvenating. Before any facial treatment takes place, your esthetician will ask you to fill out a form detailing your diet, whether you're currently on any medication, and any products you are currently using. She may also simply ask you any questions she may have. This is an opportunity to mention any concerns you may have about your skin. In preparation for your facial, you will be given a wrap that goes around your body, underneath your arms, and closes with velcro. You will be given privacy to change, and it's up to you as to how much you take off underneath the wrap. Once you are changed, she will return and wrap your hair in either a towel or headband. You are now ready for your facial. Despite the wide variety of choices, all facials have four basic characteristics: Cleanse, Exfoliate, Massage, and Mask. Cleansing: Your esthetician begins by doing a thorough cleansing of your skin to remove any make-up and to do an individual skin reading. During her skin analysis, she will ascertain your skin type and choose the best products and treatments to use with your skin. She will also consult with you about her recommendations. Once she finishes with this, she will use a machine to blow steam onto your face. A warm, steamy vapour is directed at your face to open your pores and soften any black or whiteheads. This step is crucial for the success of any facial. Exfoliation: Cleansing is followed by exfoliation. It is done by means of a chemical peel. This will leave your skin feeling fresh with new skin cells and a smoother skin texture. It also helps with any signs of wrinkles, and aids in the hydration of your skin. If it is necessary, your esthetician will remove any black or whiteheads. She will have been specifically trained to do this without leaving any scars. If you struggle with acne or breakouts, consider making an appointment for one of our deep cleansing facials. These treatments employ a deep-pore and deep-tissue cleansing that rids the skin of excess oils and stimulates circulation. Massage: Once your skin has been exfoliated, it is time for the facial massage. This is meant to be a relaxing time for you. It is also meant to stimulate your skin and facial muscles. Mask: A mask is the final element of a facial. The type of facial mask is dependent on your specific skin type. Masks help to drive active ingredients deep into your skin. While the mask is on, your esthetician will either massage your scalp or offer some other service. Once the mask has been removed, the esthetician will use a toner, serum, and moisturiser (specific to your skin type). You will then receive advice on how to further care for your skin at home, as well as recommendations for any specific products your esthetician deems beneficial to your skin care regime. Regular facials are rejuvenating, offering a skin care regime that can be tailored to your specific skin care needs. This is better than any over-the-counter assortment of products. Facials are good in the sense that they help to prevent and treat many skin problems. Furthermore, if something is wrong with your skin, you will be able to determine what the problem is very quickly. If you suffer from acne or breakouts, it is very important to allow one of our trained estheticians to extract your pimples - trying to do this yourself at home can produce nasty scars. Why do You Need to Have Regular Facials? It is important to maintain the results achieved from your facial. Ideally, you should get a facial once a month. If that is not practical for you, then at least once a season to keep your skin healthy and well balanced. Going for regular facials will leave your skin with a firmer, smoother texture. You will have a glowing complexion with fewer breakouts and your skin will stay properly hydrated. Why do You Need to Go to a Spa? While it is important to practice good skin care at home, it by no means dismisses the benefits of seeking professional help. The estheticians at Polokwane Spa are knowledgeable, precise, and passionate about their work and treat each patient as an individual, catering specifically to their needs. Booking an appointment for one of our various facial options will ensure a professional treatment that will cleanse and rejuvenate your skin in a way that you cannot achieve at home. In order to prolong the effects of your facial, it is important to continue using the toner, serum, and moisturiser appropriate for your skin type. Your esthetician will have used and recommended specific products after you've been for one of our rejuvenating facials. These high quality products will maintain the progress made with your skin and promote a healthy, glowing complexion. Polokwane's most visited Spa makes all of these products available to you online through our online store. Once one of our trained estheticians has given you their product recommendations and you know which products work well with your skin, you be able to simply and conveniently order (and reorder) through the online store. The greatest benefit to you and your skin would be to combine regular facials at our spa with an excellent home care regime. In years to come, your skin will thank you. A night preparation with multi-functional properties that offers rejuvenation, anti-oxidation and moisturisation. 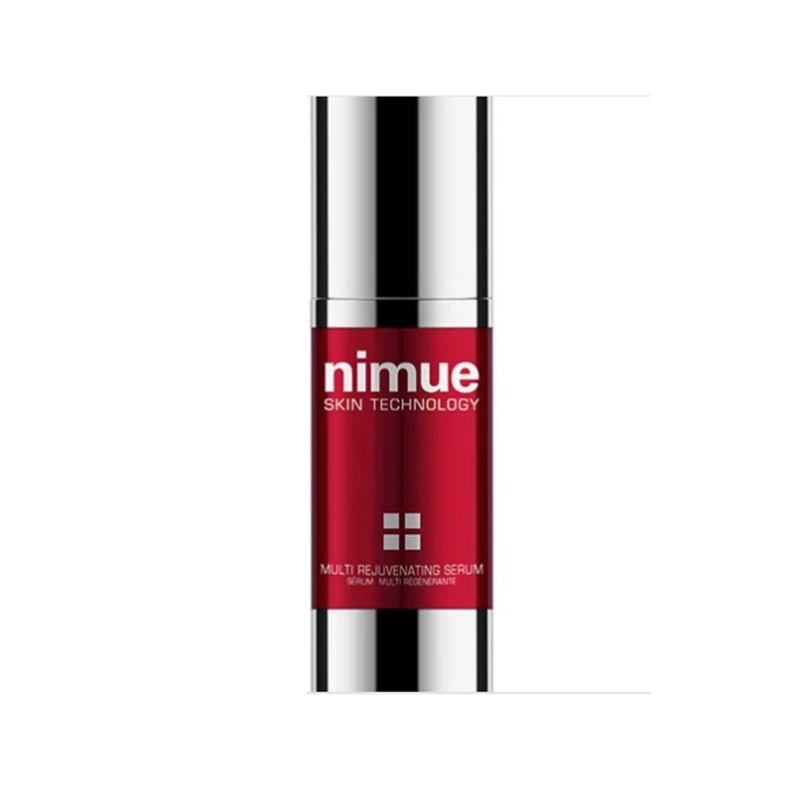 A high performance Vitamin C rejuvenating booster, captured in a nanotechnology skin delivery system.Firms, smoothes, hydrates, clarifies and brightens skin. Reduces the appearance of fine lines, wrinkles, uneven skin tone and skin fatigue.